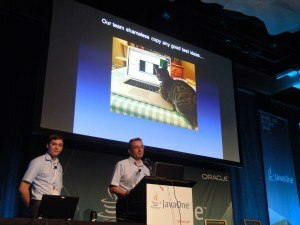 Last time I took a look at some of the key points that should be taken away from the JavaOne 2013 Keynotes, this time I’ll be looking at whats it like to be an Exhibitor at JavaOne 2013. 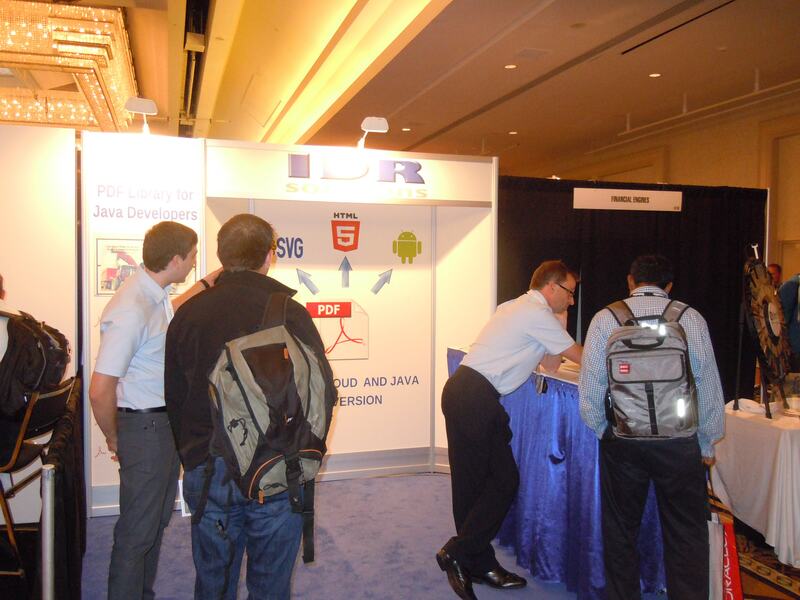 IDR Solutions is an Exhibitor at JavaOne 2013 we are there to showcase our PDF to HTML5 Converter and our Java PDF Library and reveal a few new things. 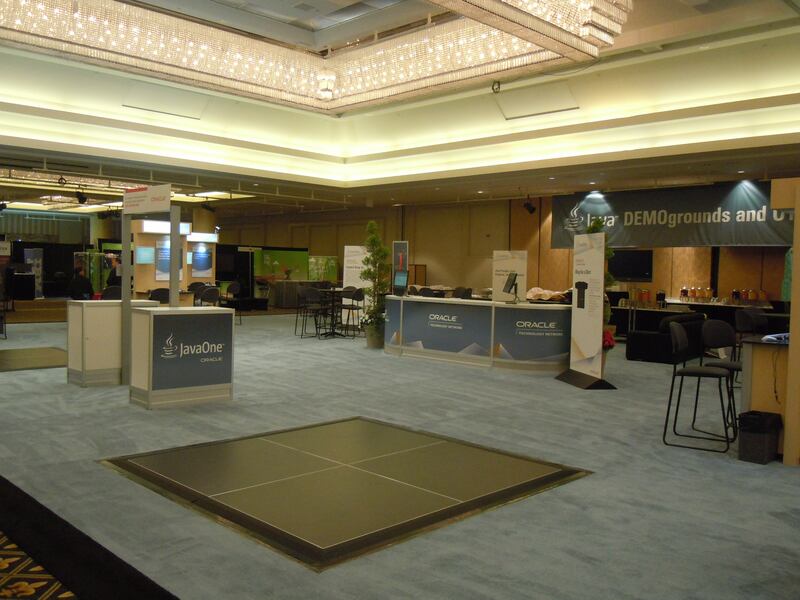 As a exhibitor you have early access to the exhibition floor to set up, its very quiet in the morning. The IDR Solutions team get ready and raring to go in the morning after discussing strategies, and ideas and setting up the equipment so they can showcase the PDF to HTML5 Converter and Java PDF Library from their stand (5714). 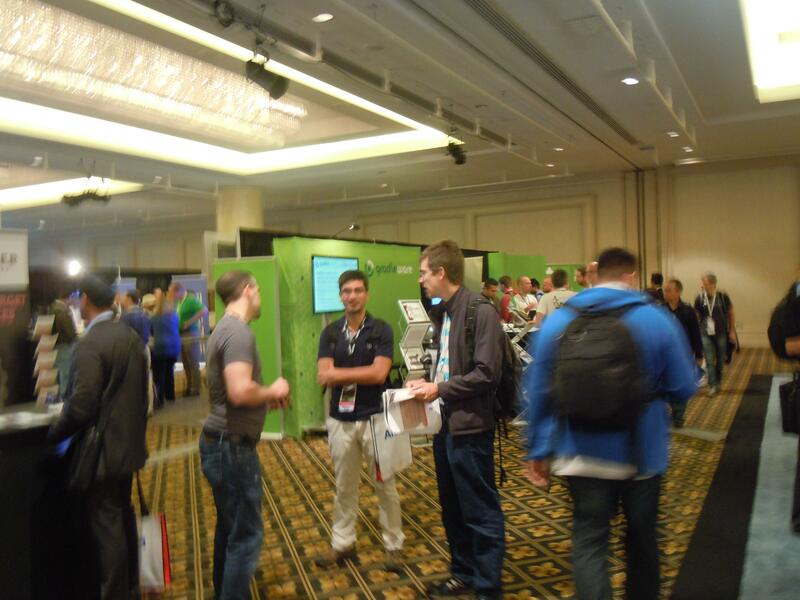 At 9.30am the doors open and it starts to get busy all round the exhibition. It stays like this the whole day. 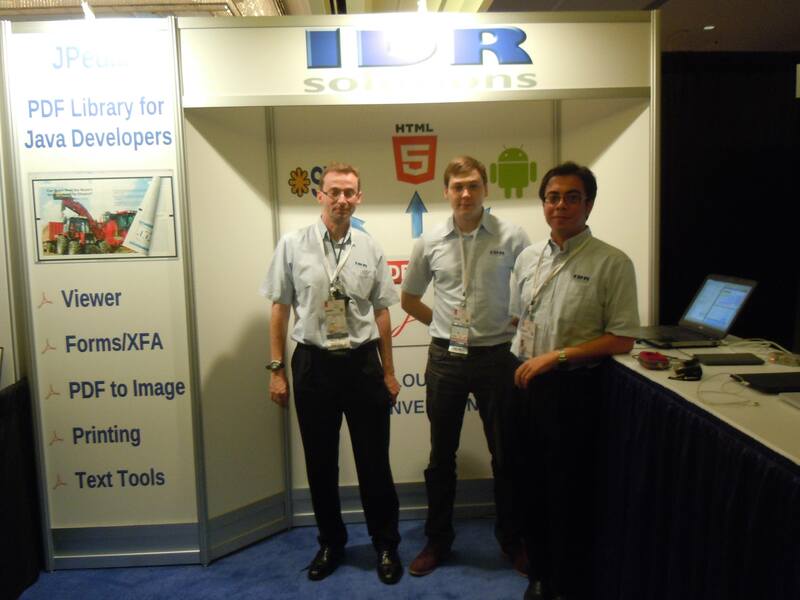 Many people come by the IDR Solutions stand to check out what we have to offer, Mark Stephens, Nathan Howard and Alex Marshall showcase the products. During the day a very special guest came by……….It was Duke! After the exhibition had finished, Mark Stephens and Nathan Howard did a talk on Lessons Learned from Using GlassFish with NetBeans (BOF2764). 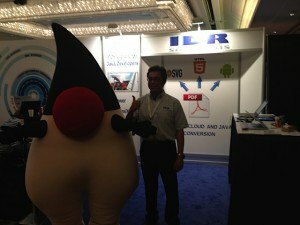 It was a great success, with many attendees (I was one of them) and there were lots of questions from those wishing to expand their knowledge of Glassfish & NetBeans. 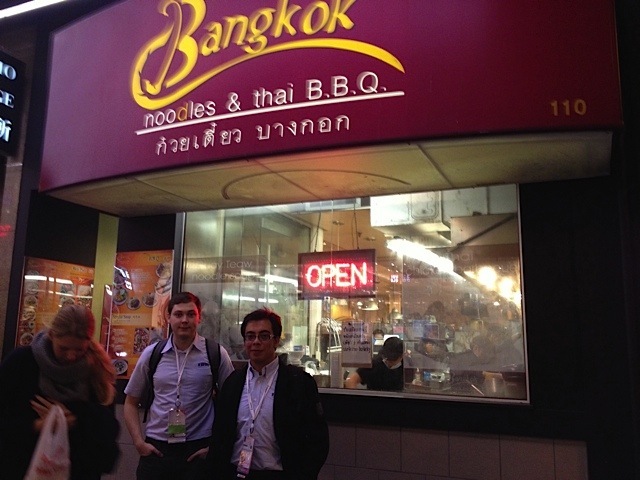 And after a hard days work the guys from IDR Solutions go for a meal at their favorite place in San Francisco for Thai Food!